Getting a company intranet up and running is an exciting process. Productivity, collaboration and employee engagement will all improve once your intranet is in place. There are many reasons why forward-thinking CEOs and managers turn to social intranet software. And its popularity is on the rise. There is one struggle that can come into play ... determining your intranet user adoption strategy. Getting your staff to embrace the company intranet is a challenging task, especially when working with a large team. Increasing adoption levels is essential to getting the most out of your company intranet. It should be a primary focus for administrators and team-leaders. 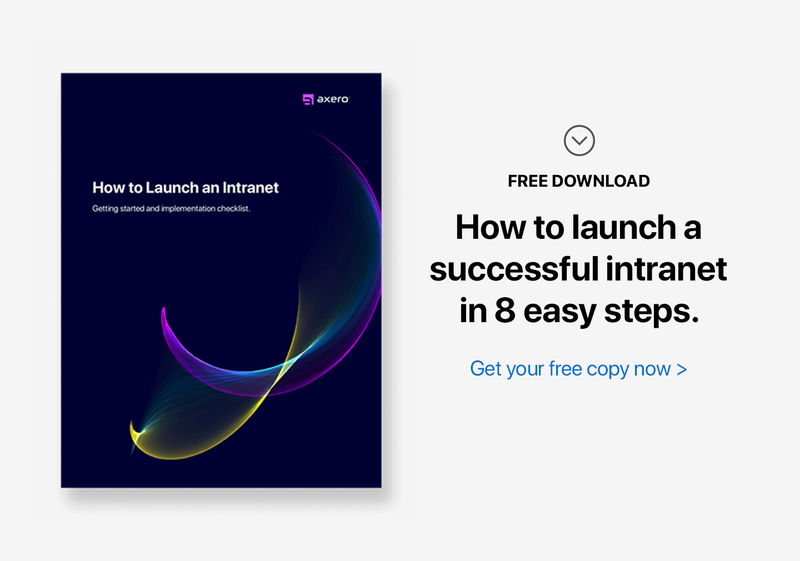 If you're looking to take your intranet user adoption strategy to the next level, you'll need to embrace some tried and true techniques. The following tips can make a world of difference with user adoption levels. Your intranet software can have a dramatic impact on whether employees are actually embracing it. More often than not, the quality of an intranet is affected by the software used to create it. This is why it's essential to start with the right platform. A well-designed piece of social intranet software can make even the most complex intranets run with ease. This enhances the experience for those using it and thus improves user adoption levels. Look for a tailored solution that's made to fit the needs of your organization. "One size fits all" software won't do your business any favors. Take your time when choosing a flexible intranet software platform, and do your research before making any quick decisions. Managers often jump-the-gun and invite employees to join the new social community before it's ready to go. It's important to recognize excitement, but don't let it to get in the way of making actual progress. Launching too soon and too fast will hurt your intranet user adoption strategy. First impressions have a dramatic impact on how keen your employees end up being on your new social intranet. This is why you need to provide the best initial experience possible. Many times, people build an intranet thinking they know exactly which features it needs. In this scenario, you can lose sight of what matters, and the needs of your staff could get overlooked. There's nothing more important than ensuring that your staff has everything they need to get the job done each day. This is the only way to keep projects from falling off the rails. 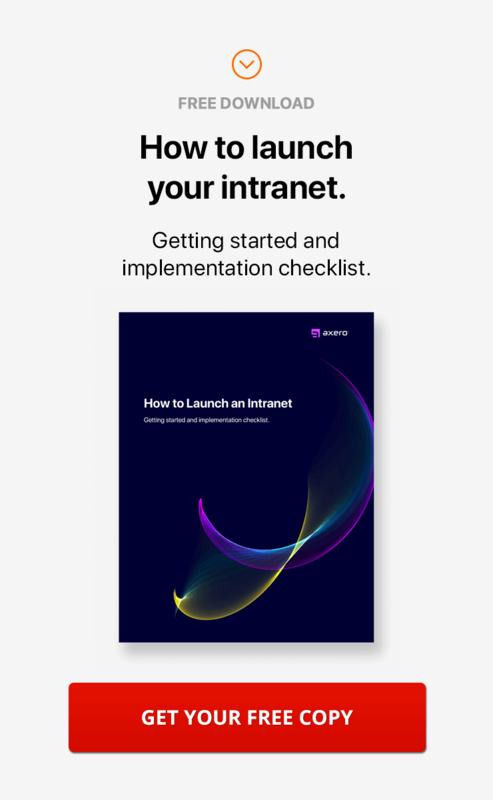 You may think you know what's best for your staff concerning intranet features, but there's a good chance you're missing part of the picture. 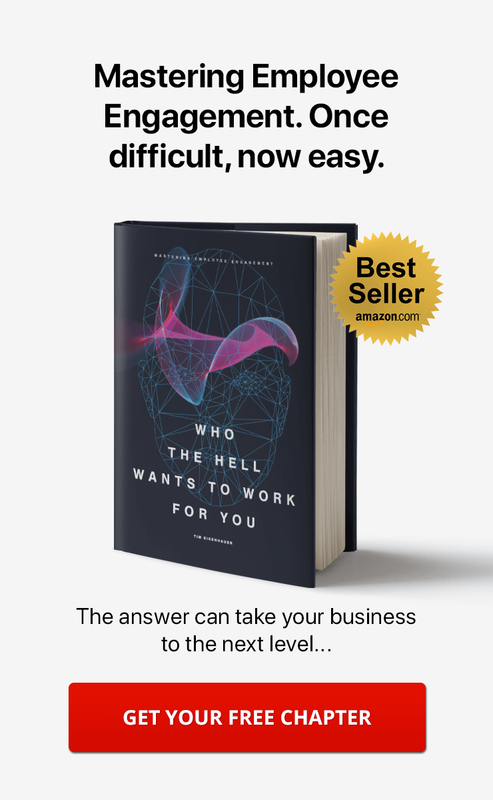 When it comes to figuring out the needs of your staff, the best thing you can do is be direct and ask questions. You can do this face-to-face or through a virtual "comments box." This can be a great way to gain insight from an entire staff. In some cases, it will be helpful to pose questions that encourage staff members to provide unique ideas. Be creative, but avoid asking your staff to fill-out a heavy-handed questionnaire. As your business grows, you'll have to make changes to your social intranet to accommodate your new set of needs. Anytime you change something, the potential for problems exists. Even the most well-tuned intranets allow for user error to occur. It's possible to avoid this problem from getting worse before it even begins, and it all comes down to proper testing. When you test the changes you've made before they go live, you're ensuring that things work without any hiccups. This will help keep confusion at bay for your employees. The less hassle your staff has to deal with, the more likely your intranet user adoption strategy will work. As with any other type of software, your intranet may have an issue now and then. One of the biggest mistakes that community leaders make is allowing problems to fester. You may plan to fix things down the road, but following through can be challenging. When an issue is brought to your attention, or you notice something that just isn't right, it's essential to take action as soon as possible. Intranet adoption levels will fall when hurdles get in the way of a staff's experience. Ensuring that things don't get any worse is the most important thing you can do in this scenario. 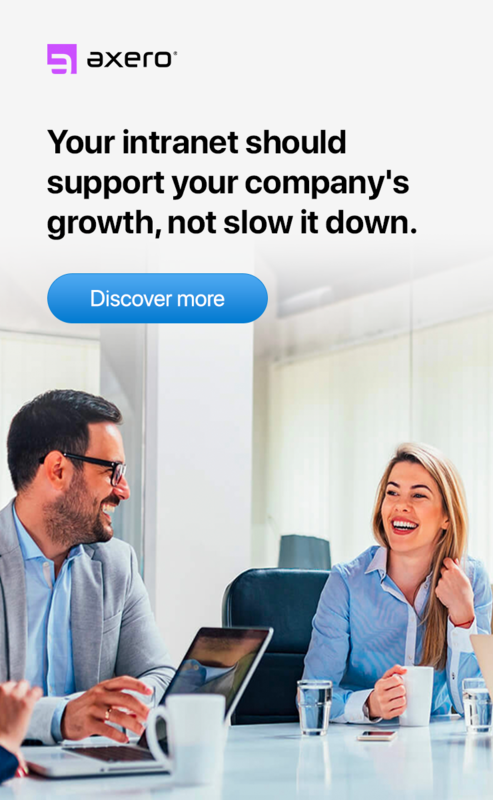 Perhaps the most common reason why people don't embrace their company intranet is because they don't find it necessary to do so. This is true in situations where the intranet exists, yet isn't central to everyday operations. An intranet that is auxiliary to the rest of the workday will never thrive. There has to be a fair amount of attention given to the social community in order for things to run smoothly. In this way, you have to make your intranet an everyday need rather than an optional tool. One of the best ways to make sure your staff is logging into your intranet each day is to move important processes to the community. You can hold virtual meetings or carry-out sales and marketing logistics via the intranet. The goal is to make your intranet a tool that everyone uses daily instead of just a small part of your staff. Keep in mind that the transition period may cause confusion for some employees. So it's important to always make yourself available for questions. When you launch a new website, pay attention to analytics to identify problem areas. And make the necessary changes before things progress. This is a way many people work to boost traffic, and you can apply the same concept to your company intranet. Use analytics to see which parts of your intranet are used on a regular basis and which are ignored. This will allow you to gain insight about how to steer things in a different direction. A successful intranet melds to the needs of your business. Sure, there will be parts of your intranet that exist but aren't given a whole lot of attention. By trimming the fat and eliminating these parts, your intranet will be more in-line with the interests and usage habits of your company. Central to any working intranet is the ability to create content for internal consumption. This can range from documentation to blog posts about news or recent happenings. And as your intranet grows in size, so too will the amount of content it holds. Content creation needs to be easy for employees to embrace it. If people are jumping through hoops to write a blog post or create a wiki, the amount of useful content will dwindle. The best way to make sure content creation is a simple process is to start with the right intranet platform. Social intranet software often comes equipped with a WYSIWYG editor. This is approachable and perfect for those who may not know anything about coding or handling advanced processes. If you don't have this feature, content creation could be quite difficult. Often, pushback from employees comes from frustration, which often comes from confusion. A lack of organization can often be the root of this problem. Sometimes, the best way to deal with this is to go into your community and make sure you segment things. Since you can create an online workspace for each group in your organization, you should never be given information that doesn't apply. When creating segments for your community, take into consideration hobbies and interests. Create areas within your intranet that are devoted to talking about topics that aren't work related. This can help to improve employee engagement and help staff members get to know each other better. You can create as many spaces as you'd like, but going overboard will likely cause the same type of confusion you're trying to avoid. The term "gamification" is becoming somewhat of buzz word in the business community. There are many schools of thought on how and if gamification works in business. Most managers and CEOs can admit that gamification does work when the right steps are taken. When put in context and related to your company intranet, gamification makes plenty of sense. It's an excellent tool for boosting employee engagement and intranet adoption. Try to come up with a plan for intranet gamification that centers around the use of your company intranet. You could offer a $10 gift certificate to the person who contributes the most content to your intranet in a week. This is just an initial idea that you can expand upon with ease. Perhaps the best thing about gamification is that there are no boundaries with how creative you can get. Experiment, and take note of what sticks. Search is the type of thing a lot of people take for granted. Take search away, and using the Internet becomes a rather challenging process. You can apply the same concept to your social intranet. This is why it's essential to incorporate a robust intranet search engine. Your intranet will only run smoothly if it's possible to recall content in a simple manner. Intranet adoption rates will fall if searching is difficult. You'll want to look for high-quality social intranet software that comes equipped with a great search feature. This will help ensure that your staff has everything they need at their fingertips. When incorporating a new social intranet into your organization, there are going to be people who embrace it more than others. These are referred to as "early adopters," and they're worth identifying. Early adopters are ambassadors of your intranet. Use them to your advantage. It's important for your social intranet to have some type of administration that keeps problems from forming. A lack of administration can cause intranets to falter. Staff members that are early adopters are ideal candidates for intranet administrators. Appointing these individuals can solve a whole host of issues. Employees with a lot of responsibilities often find it difficult to embrace the company intranet. This can cause a chain-reaction of issues. One of the biggest problems is keeping employees informed about what's actually going on within the community. If people start losing track of the progress being made, it can be quite easy to get overwhelmed. Keeping your staff informed about recent happenings and intranet activity is essential. There are a few ways to ensure that your staff is always informed of what's going on within your intranet. Daily activity emails can be effective. So can taking advantage of the news-feed that each community member has in plain sight. As long as everyone is on the same page, there should never be a huge concern about things getting overlooked. Designing an intranet can be a great experience, especially considering the freedom you have to tailor it to your company. At the same time, many people don't put any work into personalizing their intranets. This often results in intranets that are plain and devoid of any company culture. Once you recognize the benefits of personalizing your intranet, it becomes clear that doing nothing is a horrible idea. There are so many ways you can go about personalizing your social intranet that it can be head-spinning. Branding the social community with your company colors and logo is a great way to start. And don't hesitate to add other aspects of your company culture into the mix. For example, you and your employees may all like the same style of music. Here, you could build a space to discuss influences, favorite albums, and more. Adding a degree of personalization is a great way to enhance your intranet user adoption strategy. In many ways, a new intranet is somewhat of a blank slate, even if it follows some sort of template. Those launching an intranet for the first time have a lot of freedom with how to tweak their social community. When the right moves are made, the end results are powerful. It's important to remember when changing the look, feel, or layout of your intranet, it's done with comfort in mind. Your staff will only embrace your social intranet if it's comfortable to use. Many factors combine to make your intranet more comfortable, such as its user interface ... the tools and widgets that make it up and even the color scheme. Remember that your staff will be logging in every day to post content, communicate, and tackle projects. You must have an easy to use intranet navigation system for everyone to want to use it. It's impossible for employees to meet your expectations if they don't know what you're looking for. Because many managers are so excited about the intranet being up, they forget to articulate specific intranet team roles to their employees. This can cause many problems. When employees know their particular responsibilities, confusion disappears. This means that the stress often associated with adopting a new intranet goes away. And each member of your organization has the direction they need to make a difference. People learn at their own pace, so rushing them will only cause issues. Training people at their own pace means working one-on-one with employees. This is something that many managers and CEOs get stressed-out about. After all, giving individual attention to everyone is easier said than done. If you task community leaders with training employees, you'll cover more ground than doing it yourself. Put time into intranet training, and you won't have to deal with common issues that pop-up from a lack of direction. Adjusting and getting the most out of your intranet user adoption strategy can take time, but it's not impossible. Make the right moves, and your intranet will become a huge part of the daily routine of you and your staff.